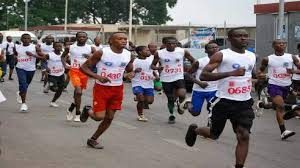 2,000 register for Warri/Effurun Peace Marathon – Royal Times of Nigeria. Over two thousand runners have registered for the second Warri/Effurun Peace Marathon scheduled to hold in Warri on Saturday, the twenty-ninth of April, 2017. According to the organizers, the ten kilometer race is meant to promote peace in the Niger Delta. This year’s edition, which is open to national athletes, has three hundred thousand naira top prize in both the men and women categories. Special sports athletes have also been invited to participate in the race. But some of the local athletes, who have been training at the Warri Stadium, promised to outpace the elite runners from Plateau State. There is also a prize money bracket of one hundred thousand naira for the athletes from the Warri area.